The Ford Super Duty line of heavy-duty pickup trucks received new styling inside and out along with a re-engineered suspension that delivers a smoother ride for 2008, so it's still a very new truck. In fact, it's the newest design among the heavy-duty pickups. Changes for 2009 are limited to trim and equipment. A Cabela's special edition has joined the 2009 Super Duty FX4 line, a fun choice for hunters. Meanwhile, the Harley-Davidson edition has expanded to include the F-450 model, perfect for drivers who need to haul a big load of hogs. 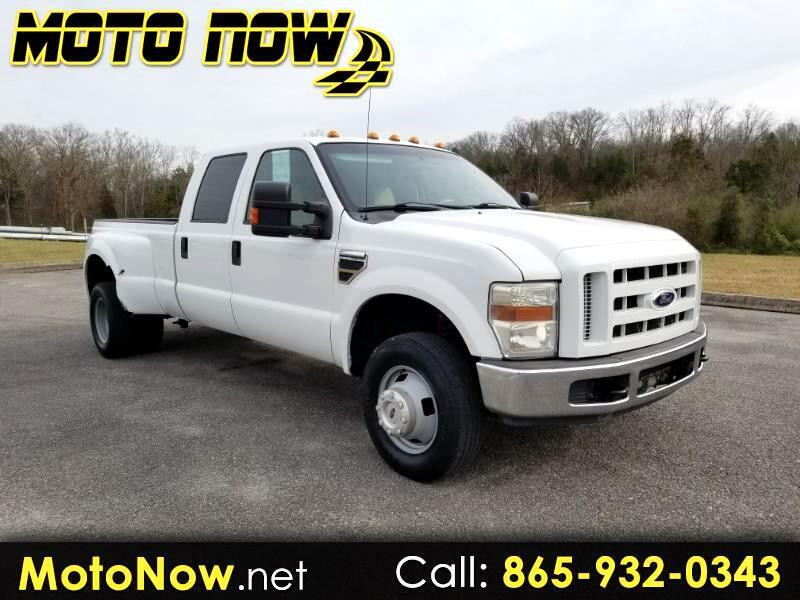 The F-450 is sort of a super Super Duty, a factory medium-duty big truck in pickup guise; Ford continues to be the only high-volume manufacturer to offer this type of truck. Ford's Sync voice-activated hands-free communications and entertainment system is available on 2009 Super Duty models; Sync uses USB ports and Bluetooth wireless connectivity to link phones, media players, and other devices to the truck's system. Voice-activated navigation with Sirius Travel Link and an eight-inch touch-screen is available, also. For commercial and owner-operators, Ford's Work Solutions system provides facilities for GPS linking; add a laptop and printer and your truck is a rolling office. Every model in the lineup gets more standard equipment for 2009. Even the base model now comes with air conditioning, Securilock and trailer towing mirrors, while top-line trim comes with heated seats and a rearview camera. That camera is hugely helpful when backing the truck up to a trailer coupling; no more jumping out six times to get it lined up properly. This latest generation of Ford Super Duty trucks is more refined than the pre-2008 models. It has more of the work ability you expect from a heavy-duty pickup, yet it is more comfortable, rides better, and delivers more in the cost-benefit analysis. It's also more environmentally friendly, a lexicon not normally applied to big trucks. With realistic expectations, any faults will seem minute when compared to the ability to plow a big parking lot, pull a small car, or tow a small house. Need a truck to work? The Super Duty line can haul from one to three tons. It can tow from three tons to more than 12 tons. It can carry three to six real-world people with room to spare. And the door pockets, glovebox, and console will hold more stuff than the entire trunk of some sports cars. If you don't need a truck to perform heavy duty work, stop reading here and look for New Car Test Drive's review of the new Ford F-150 lineup.